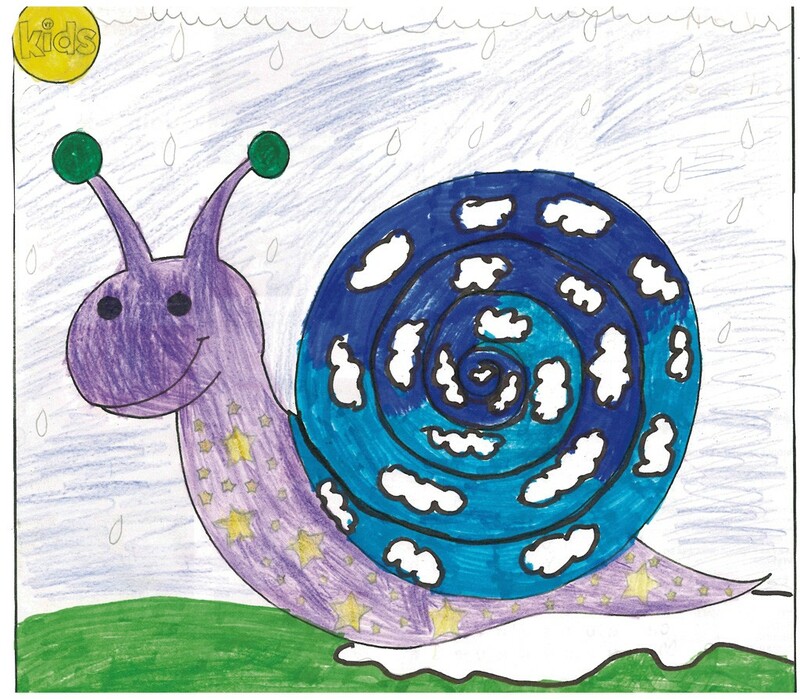 The artwork this month saluted spring’s arrival with bursts of blossoms, sparkling raindrops and smiling sunshines. 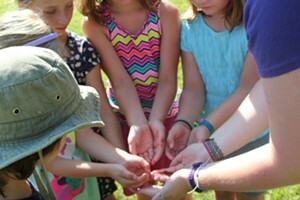 Taylor, 9, surrounded her cotton-candy pink snail, inching over mint-green grass, with tiny flowers. 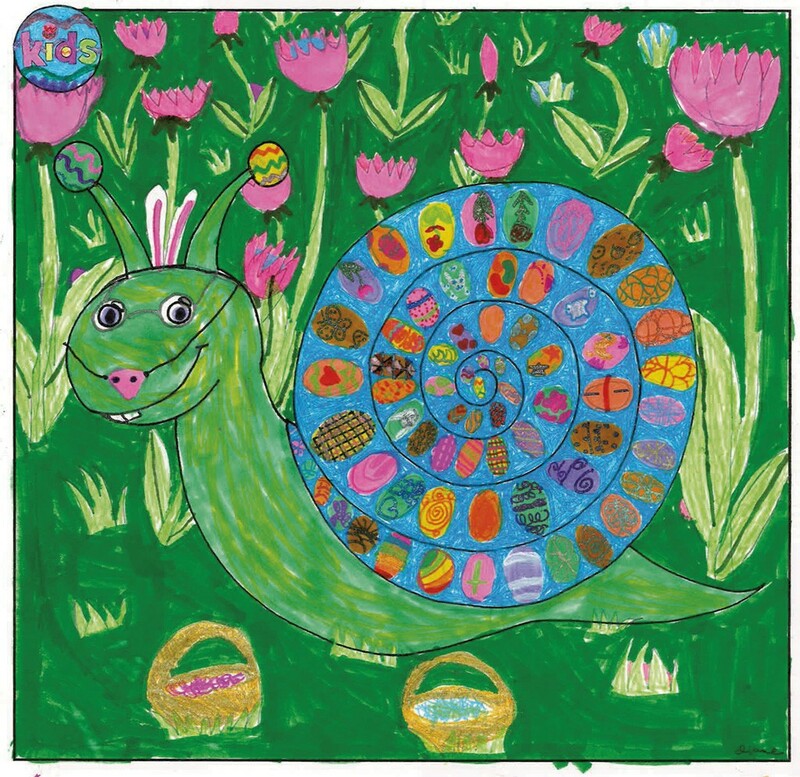 Anaia, 5, chose a rainbow of colors for her slow-moving creature’s shell, surrounded by pen-and-ink Easter eggs decorated with zig-zags. Our enthusiastic judges had a blast deciphering 7-year-old AJ’s mystery message written backwards in a spiral on his golden snail’s shell. 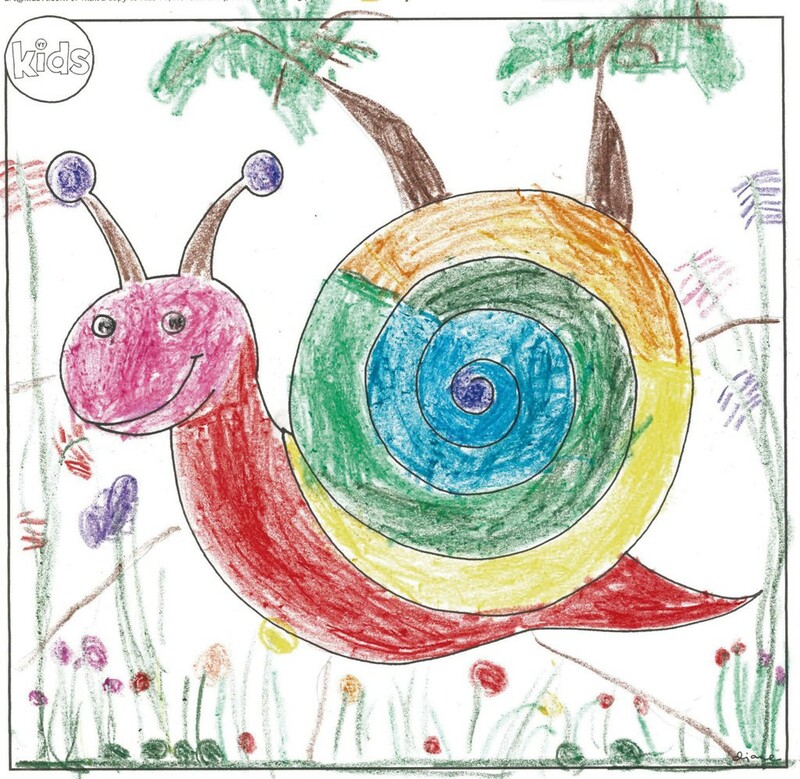 Thanks for the stellar submissions, young artists. Keep ’em coming!